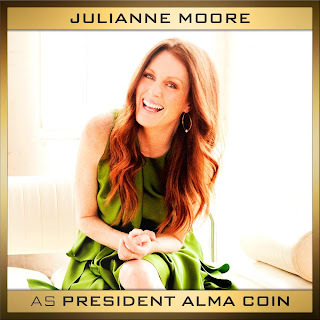 Home » » Julianne Moore Officially Cast as President Coin in Mockingjay! Julianne Moore Officially Cast as President Coin in Mockingjay! The rumours are true! Today, Lionsgate announced officially that Julianne Moore would be joining the Mockingjay cast ensemble in the role of President Alma Coin. Read the full press release from Lionsgate here.